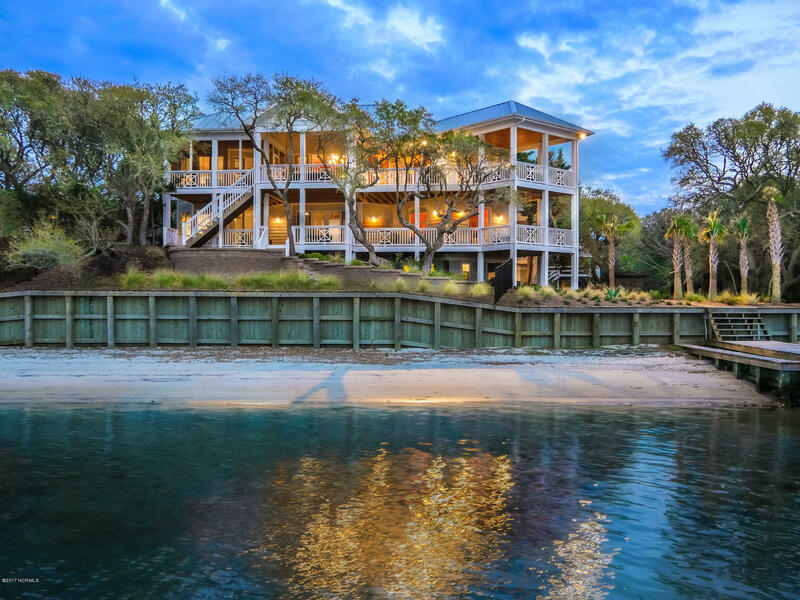 An intriguing approach down a tree lined drive escorts you to a discreet .73 acre estate on a high bluff overlooking 130 feet of waterfront, a dock with 2 boatlifts and captivating views of the sound. Deeded beach accesses lead to the incomparable shoreline of south Topsail Island. The elegant home was custom designed in harmony with the site and the timeless oaks that blanket the property. Refined elegance and precision craftsmanship greet you throughout with four en-suite bedrooms each opening onto over 2,800 sq. ft. of porches. The master suite is a retreat of its own with striking details. The gourmet kitchen with multiple islands features a 6 burner Viking cook top and a full suite of high end appliances. This incomparable property is truly the crown jewel of Topsail Island. I would like more information about 230 N Anderson Boulevard in Topsail Beach.